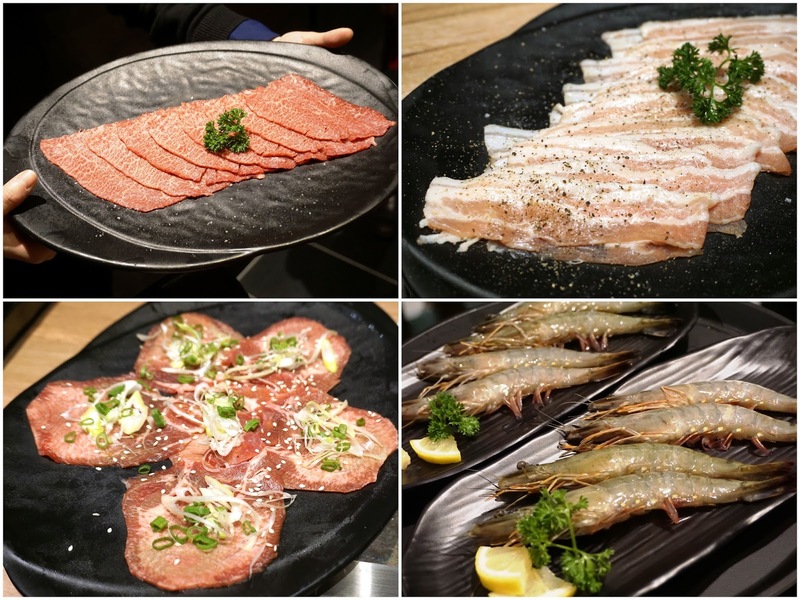 PinkyPiggu: Gyuu Yakiniku Grill Restaurant @ Emporium Shokuhin, A Food Shopping & Dining Destination At Marina Square! 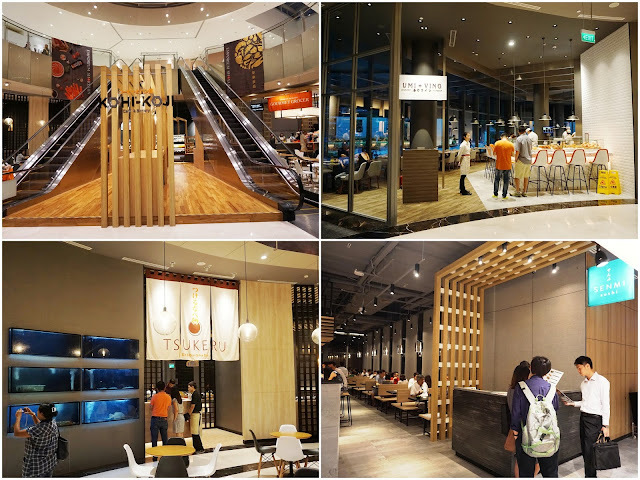 For yours truly who eat out most of the time, I was naturally keen to check out the 8 Dining Concepts first. 1) Burosu Honten: Place for Ramen in tonkotsu as well as seafood broth, and also Gyoza (pan-fried dumplings) with fillings like seafood and Wagyu beef. 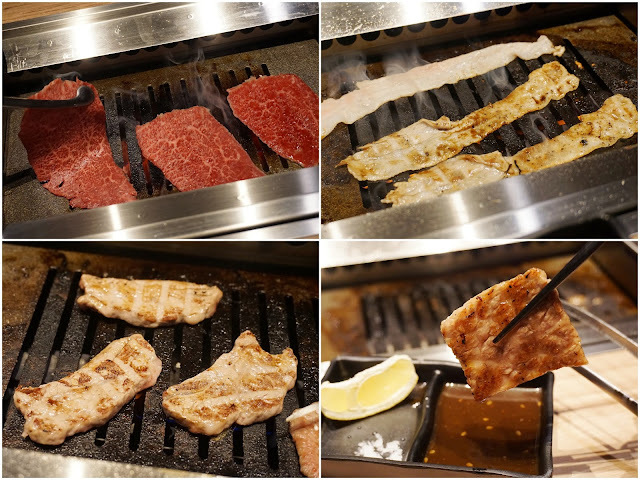 2) Gyuu: A Yakiniku restaurant that offers a selection of prime beef cuts and fresh seafood for grilling. 3) Koji-Koji: Café & Bakery which serves handcrafted coffee and freshly baked Japanese-style pastries. 4) Senmi Sushi: The Sushi Bar to enjoy sushi, sashimi, chirashi and California-style maki. 5) Takujo: Fine Dining establishment for modern Japanese cuisine. 6) Tsukeru: Individual hotpot Shabu Shabu with range of Japanese and Asian broths, wide selection of seafood and premium meats. 7) Umi+Vino: Contemporary European-Japanese Seafood Wine Bar to indulge in freshly-shucked oysters, chilled seafood platters and crustaceans on a hot grill. 8) Ready-To-Eat section that features sashimi trays, sushi sets, salads, onigiri (rice balls) and other quick takeaway meals. 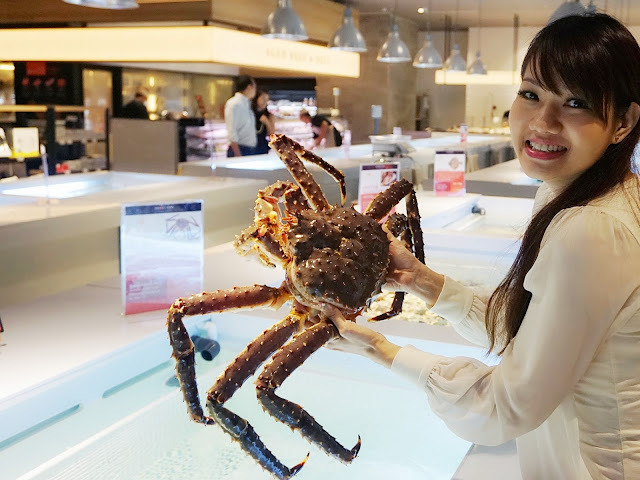 These 8 dining concepts are the perfect platform to showcase the pristine ingredients which are sourced directly (cutting out middlemen charges, savings are passed on to customers) from a wide network of premium purveyors in Japan. 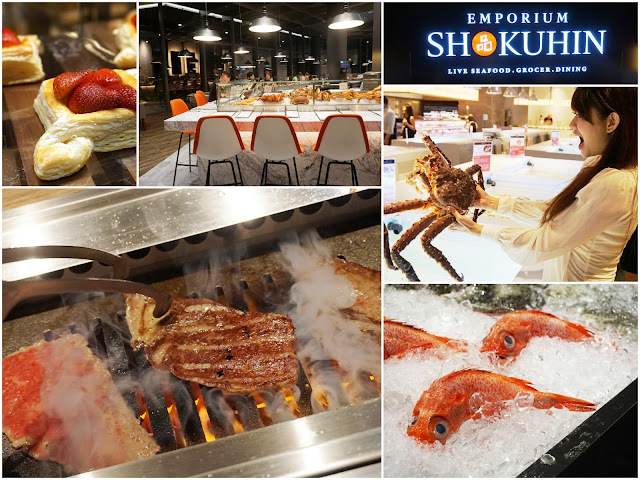 Emporium Shokuhin is afterall, first and foremost a Gourmet Grocer and Seafood Marketplace where home chefs can pick up fresh produce and live imports. 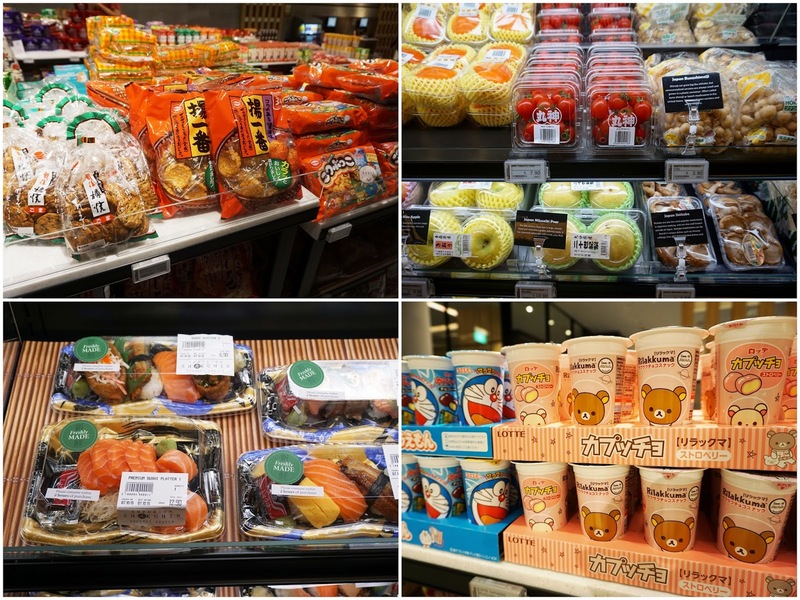 Japanese fresh produce and groceries imported from prefectures such as Ehime and Hokkaido can be found here. Expect seasonal fruits, vegetables, confectionery, condiments and noodles, to sake and wine. Check out the live seafood swimming in those sea-water tanks! Highlights include Uni (Sea Urchin), Kegani (Hokkaido Hairy Crabs), Hotate (Scallops), Hirame (Flounder), Scottish Razor Clams, Bamboo Clams, Snow Crabs from other regions and Alaskan King Crabs from Norway! Oyster varietals from countries like France, USA and Canada are also available. 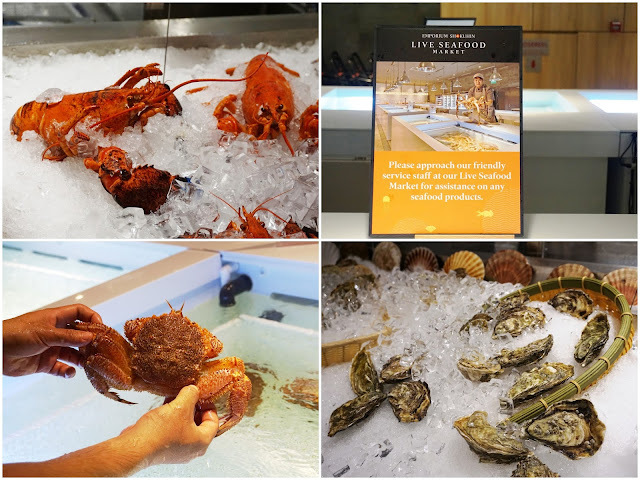 We can opt to savor delicacies such as Fine de Claire Oysters at the market, or request for the oysters to be shucked and packed for takeaway. A fishmonger will be at hand to prepare chilled seafood such as Nagasaki Bluefin Tuna, Pacific Saury, Pacific Gaper and Kinki (thornyhead rockfish) in different styles, be it for sashimi or cooking. There is even a specially customized beef dry-aging facility, where premium beef will be aged onsite and retailed at reasonable prices. If you're wondering why beef needs to be aged in the first place, it's because the process is said to improve the flavor and texture of raw meat. The beef carcasses are hung to dry in the special temperature and humidity-controlled glass room, optimal length of time depends on the type and cut. It can be from a minimum of 14 days to as long as 40 days. The aged meat is then portioned into various cuts such as thinly-sliced shabu shabu, karubi (boneless short ribs), steaks and more. Alas none of the dry-aged beef was ready at my point of visit (just a week after they opened), but we still enjoyed a selection of quality cuts at Gyuu Yakiniku Grill. I'm talking about the popular USDA Prime Graded Beef, and the prized award-winning Japanese A5 Miyazaki Beef from Miyazaki prefecture in Japan! To give you a sense of the pricing (per 100gram): USDA Prime Ribeye ($28), USDA Prime Striploin ($26), A5 Miyazaki Jo Karubi (yakiniku-cut prime short ribs, $38), A5 Miyazaki Misuji (beef shoulder, $34), A5 Miyazaki Cube ($18), A5 Miyazaki Zabuton (thinly-sliced short ribs, $38), Gyu Tan (beef tongue, $18). My favorite was undoubtedly the thicker cut A5 Miyazaki Jo Karubi! Its marbling was visibly luscious, and all it took was just a few seconds (for each side) on the hot griddle to cook it to medium rare perfection. What a sensation as I felt its juicy tenderness in my mouth. The A5 Miyazaki Zabuton was very pleasing too, but my advice is to stay focus on the grilling when doing so as the thinly-sliced cut gets cooked very quickly. Superb on its own or simply dipped with beaten raw egg and sweet sauce, and eaten with a mouthful of Hokkaido rice. Yums! 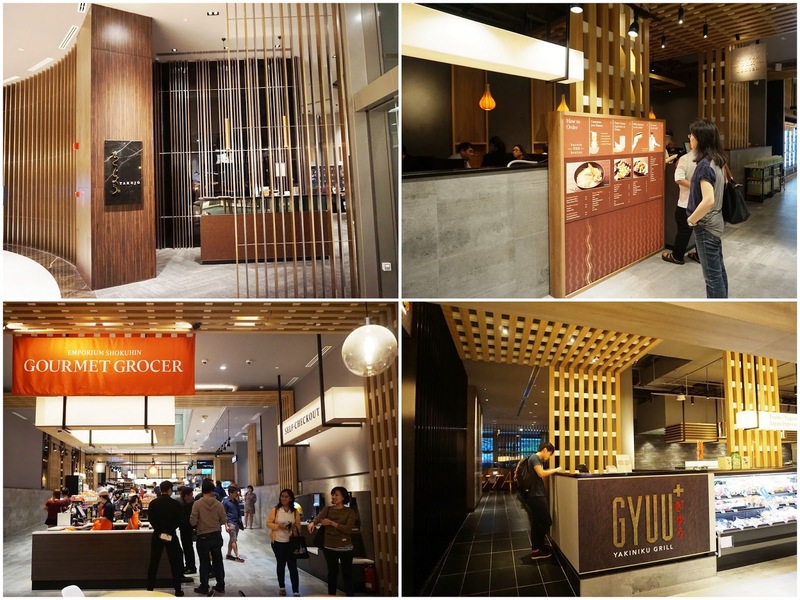 Though the menu also include offerings such as Pork Belly ($15), Prawns ($13) and rice dishes like Ishiyaki Bibimbap ($16) and Nattou Kimuchi Don ($14) to cater to the wider audience, none was as memorable as the Miyazaki Wagyu. Oh my goodness, you are welcome to house-arrest me in Gyuu Yakiniku Grill and stuff me day and night with endless Japanese beef. Thank you very much! 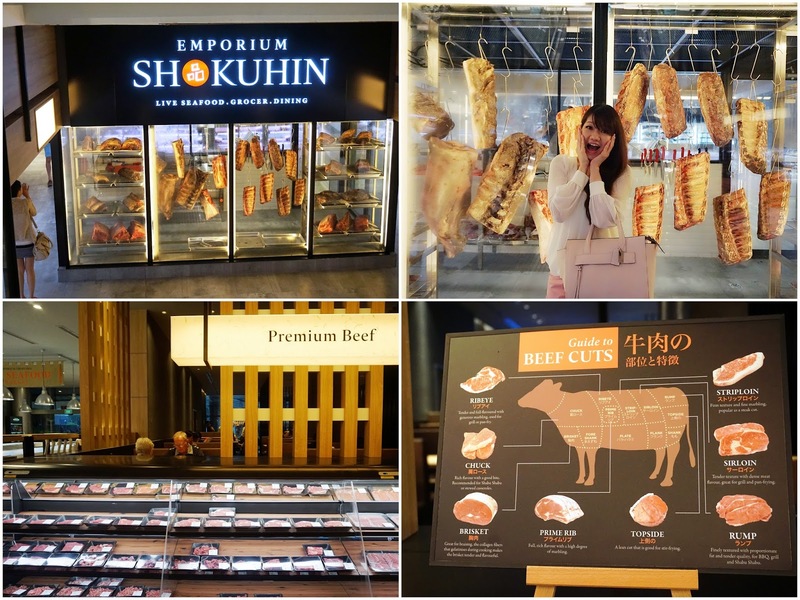 If that isn't going to happen, then I will have to make my own way back for more beef, and also to check out the other restaurants at Emporium Shokuhin.